Modern organisations know that performance improvement at a team level, is necessary to lift their organisation’s performance. But they are finding it increasingly hard to achieve. The old ways don’t work anymore. The traditional world of business has migrated to the digital world. Teams are increasingly spread out across the globe. Businesses need to adapt to new worker expectations, patterns of virtual working, cross time zone teams and a whole new level of stakeholder complexities that didn’t exist before. But high-performing teams remain the engine behind any successful business, which means businesses need to review their coaching methods in order to maximise the results of their human resources and continue to build high-value, high-performing teams. 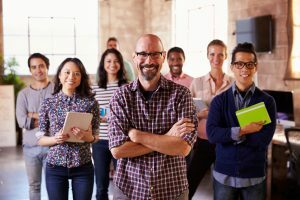 We’ve entered the “Age of the Millennials”, and it’s important for organisations to adapt to how this generation of thirty-somethings work. Many are assuming leadership roles early in their careers, often with little preparation or experience of managing teams. They’ve led the way for the ‘digital nomad’ and ‘Uberisation’ trends in working cultures. They choose when, where and how they do their work. As a result, they have high expectations for flexible working and learning, are ambitious about their careers, value achievement, fun and coaching – but on their terms. With this tech savvy generation demanding more from their work-life balance, and the fragmentation of teams, the challenge of maintaining and developing high-performance teams grows ever more difficult. Teams need to deliver more challenging outcomes in complex business scenarios – often in the face of rapid organisational change and economic uncertainty. The nature of teams is changing from traditional hierarchical structures to more transient, project based groups of people brought together to produce specific outcomes. This requires both individuals and teams to be innovative, agile and resilient. Team coaching is one of the most effective ways to shift the performance of an organisation. Systemic leadership-team coaching, in particular, is becoming a progressively more important component of the learning strategy of forward thinking organisations. The quality of leadership provided to people in today’s organisations hinges on the performance of leadership teams. Yet rapidly shifting membership and virtual working on complex challenges are constantly detracting from the ability of leaders to succeed through their teams. Enabling these teams to work together effectively across time and distance, working at pace and very flexibly is therefore a central challenge of our working world. High performing teams can accomplish extraordinary results for a business, and have an impact on the culture of an entire organisation. They can build productive communication, set an example for other teams, create highly innovative solutions and products, revolutionise and improve internal processes, encourage new perspectives and deliver outstanding performance. A high performing team, working together towards a common goal, can collectively accomplish more for a business than any individual or organisation as a whole. 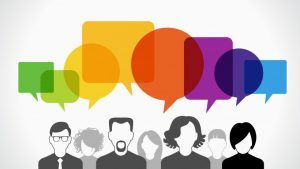 What is systemic team coaching? There are some common traits to high-performance teams: they have clear and shared vision, goals and objectives, clearly defined priorities, clear measures of success, open communication which helps to identify and solve problems as and when they occur, they can successfully manage conflict and are resilient to organisational shifts beneath them. They achieve great things, together. However, with teams evolving and worker expectations changing, the nature of team coaching also needs to move on. Now is the time to roll out ‘modern’ approaches that embrace these changes and support teams in combating modern day work-life challenges. 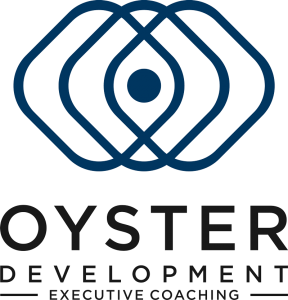 At Oyster Development, team coaches operate with awareness and skill to address the psychological dimensions of teams. This in turn leads to a clearer understanding of individual and team behaviours and encourages people to incorporate the changes required to achieve peak performance. Coaching to create high-performance teams needs to offer team members clarity about how their teams operate ‘beneath the surface’ and raise participants’ awareness of how they themselves work in a team environment. A team coach will locate the team within the organisational system and gain understanding of boundary and stakeholder-management issues. It’s also necessary to ‘hold up a mirror’ to participants so that they might become more aware of themselves, how they present in groups and how they can use that knowledge for the benefit of their organisations and their own development. A team is not an end in itself but there to deliver results for its stakeholders. Communication is key and relationships at the boundary are as important as those within the team. And, quality relationships – in the team and across the organisations – will drive quality processes and lead to increased success overall. The team coach will work alongside the team on the job and in workshops to help it improve its performance, development, well-being and engagement. Together they will deliver more and accomplish extraordinary results for the business. Hawkins, Peter, Leadership team coaching: developing collective transformational leadership. (2nd ed.) Kogan Page, London.